The fact that we live in a dry climate is exactly what makes rainwater harvesting such a vital technique for making our communities more sustainable. Every time it rains, a shocking amount of water flows away from the houses and buildings in our cities. The storm water is directed into storm drains and out towards the ocean. By collecting the rainwater before it flows away, we can use it for landscaping and other non-potable needs. This conserves California's dwindling fresh water supplies. Even on a small 1,000 square foot roof, you can harvest over 600 gallons of water for every inch it rains! Diverting this rainwater for on-site use is an important way to reduce dependence on fresh water supplies. You can use rainwater for your landscaping, watering vegetables, washing the car, or it can even be purified for indoor use. Besides water conservation, diverting rainwater away from our streams and oceans plays a major role in decreasing pollution in our watersheds. 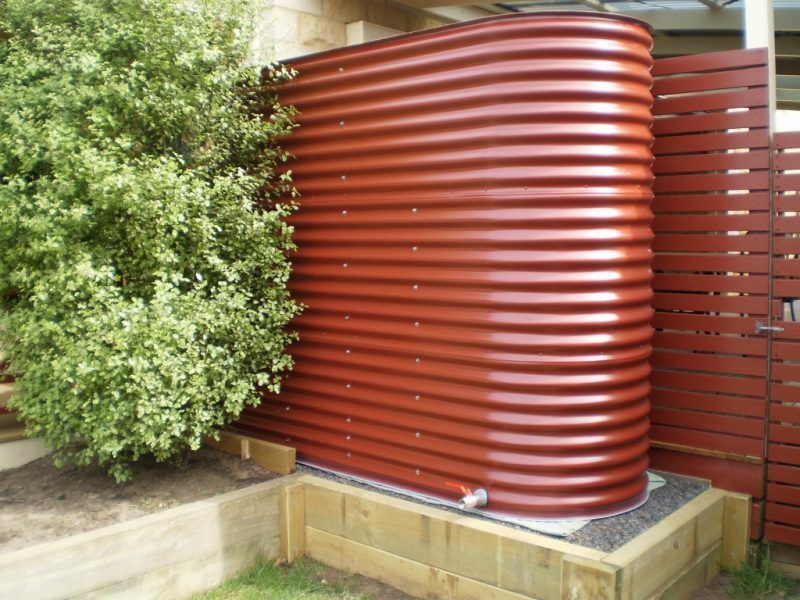 A rainwater harvesting system is a smart environmentally friendly upgrade to your home or business. In a passive system, we divert the rainwater from your roof or another impermeable surface directly into your landscaping. We shape the land to slow, spread, and sink the rain down into the ground. 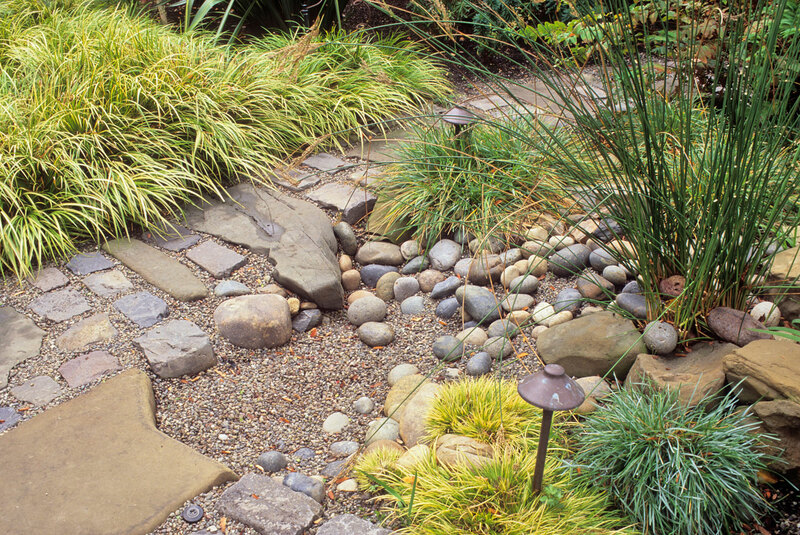 This can be a rain garden, rock lined creek bed, or simply a shallow basin. The extra rainwater in the winter reduces irrigation needs even in the summer while making your plants healthier and more drought-resistant. 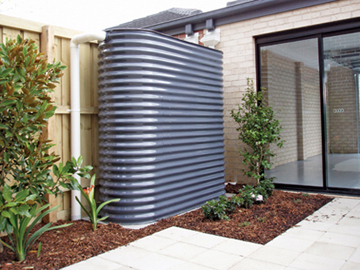 Active systems involve the use of a rain barrel or holding tank to collect the water for later use. It can be used for landscape or agricultural irrigation, washing the car, or it can even be purified and used indoors. We have many tank sizes, shapes, and colors available and will customize your catchment system for your needs.